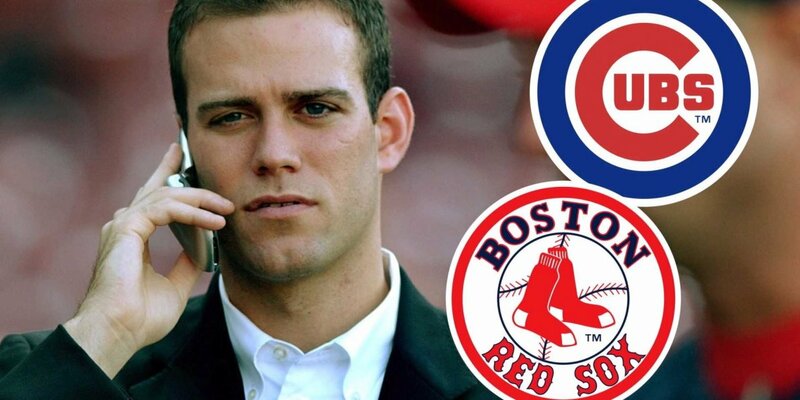 As we well know, Theo Epstein is really good at snapping up key players in unorthodox ways. All we have to do is recall The Great Thanksgiving Heist of Curt Schilling in 2003. As reports now surface that two-way phenom Shohie Ohtani has narrowed down his landing spots to: the Dodgers, Angels, Padres, Giants, Mariners, Rangers and Cubs, the other six teams are probably looking over their shoulders for Theo. Always a persuasive pitchman, the Cubbies are probably being portrayed by Epstein as "America's Team"—the former lovable losers turned perennial contenders. And while Chicago is not quite "small-market", it's smaller and less intimidating than New York or L.A. Plus, Theo can tout his success with Japanese players like Daisuke Matsuzaka, Hideki Okajima and Junichi Tazawa. Also, the Cubs franchise has had several players from Japan over the years: Koji Uehara, Munenori Kawasaki and Kosuke Fukudome. We can just hear Theo's pitch now!